Simple, affordable, and colorful= perfect summer dress! I found this dress last year at a boutique here in Hoboken called Dor L' Dor. 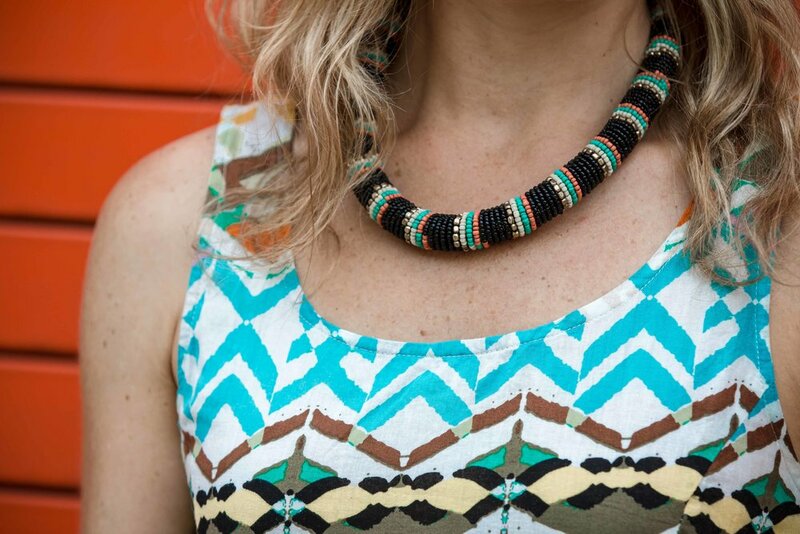 I instantly fell in love with the tribal pattern and colors. It's in constant weekly rotation in my closet on those "I don't want to put on clothes because it's so stinkin' hot" days.